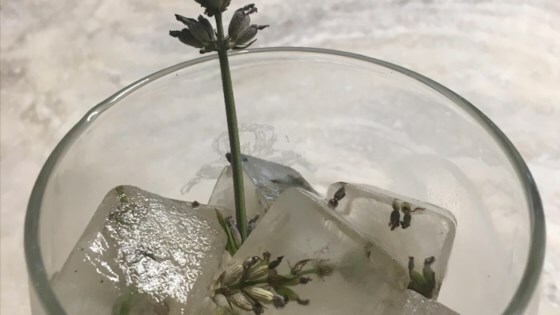 "Lavender ice cubes are perfect to have on hand whether you're adding it to a mild cocktail, punch, or simply adding flavor to your water." Bring water to a boil in a saucepan. Place lavender flowers in an empty ice cube tray. Pour boiling water over lavender in ice cube tray. Cool to room temperature before placing in freezer to freeze for 3 hours. This is pure, simple heaven: Vanilla ice cream with great flavor.